So, When the modern Macedonian state was proclaimed a gold-edged five-pointed red star centered on a red field was presented by ASNOM. But soon after that its designed was changed as Macedonia became part of Yugoslavia. And as a part of Yugoslavia, Macedonia was the only region not to use the Pan-Slavic colors ( Red, Blue, White). Its flag was red with a gold-edged five-pointed red star in the canton. 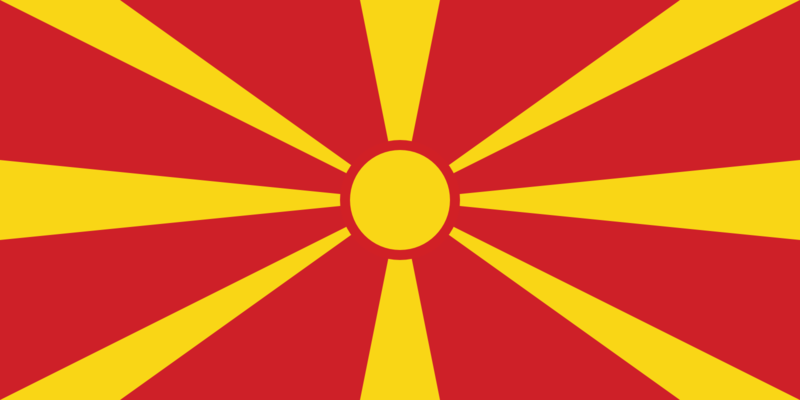 However, at independence in 1992, Macedonia retained the red flag but added a gold star in a gold sun which soon changed to the “Star of Vergina” an ancient Macedonia emblem from the tomb of Philip of Macedon, father of Alexander the Great.